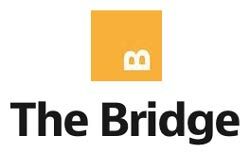 Mick Ryan and Nathan Finney wrote two articles for The Strategy Bridge related to the value of science fiction for strategists. They highlight a number of benefits from reading science fiction, including nurturing optimism for the future, thinking about old and new technologies, increasing one’s appreciation for ambiguity, and expanding creative and critical thinking to resolve complex problems. 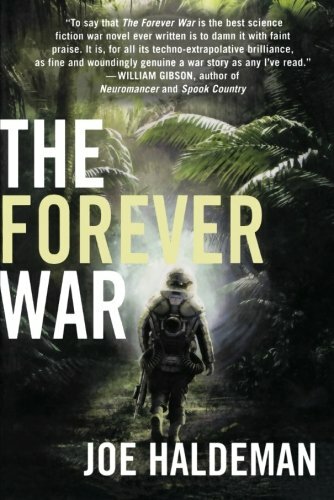 Because much of science fiction involves organized violence, it also challenges readers to think about the enduring nature of war, especially when the character and conduct of war change because of new technologies or new domains. One oversight in the articles is the heavy focus on science fiction novels. Many academics have the opportunity to read books; we are fortunate enough to be in a profession where our institutions pay us to read anything that makes us smarter and to pass on that knowledge to our students. But many people—military and civilian—who engage in developing and implementing strategy may not feel they have the free time to read entire science fiction novels, when they can barely keep up with current events and intelligence reports. If given the time to read something beyond their current assignment, many may feel obliged to read history and strategy, rather than spend their time reading science fiction. As great a book as Frank Herbert’s Dune (1965) is, for example, highlighting concepts of insurgency, balance of power, and leadership, it is also more than 800 pages long. One solution is for strategists to consider short stories, which I contend are even more valuable than novels for developing strategic thinking. Short stories provide many of the same benefits as novels, allowing readers to consider the same themes but requiring less time. In addition, many science fiction writers work mostly with short stories, so focusing on novels overlooks some of the best science fiction available to the aspiring strategist. In some cases, the novels on Ryan and Finney’s lists are available in shortened versions. Orson Scott Card’s Ender’s Game (1985) is available as a novelette, first published in the August 1977 issue of Analog magazine. Likewise, Joe Haldeman’s The Forever War (1974) was initially a four part serial in Analog, the first of which was “Hero,” appearing in the June 1972 issue. These short versions are obviously less detailed than the novels, and may lack some nuance and character development. But they are usually the author’s first cut at a story, and in many cases the important strategic themes are equally present in the short stories. I have used short stories in an elective at the Joint Advanced Warfighting School (JAWS) entitled “Future Tech: War, Strategy, and Society in the Next Century,” where the topic was technology and its relationship to strategy, society, and war. The short stories read in that course supplemented scholarly work on topics such as artificial intelligence, human augmentation, and space exploration. Starting with the 2019-20 academic year, I will be offering an elective at the Air Command and Staff College, in which we will exclusively read science fiction, including novels and short stories, and discuss how the stories relate to different elements of strategy and leadership, such as ethical decision-making, insurgency or revolution, civil-military relations, and the role of the military in society. There are two potential downsides to using short stories rather than novels. In some cases, they may be harder to find. Some are available online, while some appear in anthologies or collected works, but many of those collections are out of print and expensive. In contrast, many of the best novels come in a variety of formats, including as electronic downloads. On the other hand, because so many short stories exist, and because some are free online, numerous short stories are available for a wide range of courses in professional military education. The second potential issue is that the sheer volume of short stories may deter someone who wants to explore the genre but does not know where to start. What follows is a list of some of the short stories I use, and how they relate to key strategic concepts. This is only a starting point and necessarily omits several good stories that achieve many of the strategic benefits highlighted by Ryan and Finney. One persistent question across these stories is whether advanced technology can act as a substitute for strategy or strategic thinking. Arthur C. Clarke’s “Superiority” (1951) is my starting point for discussions of strategy and science fiction. It is a story every strategist and procurement officer should read. It highlights the dangers of relying on technological solutions rather than sound strategy that involves an understanding of goals as well as an adversary’s capabilities. This is one of the first readings in my electives and a recommendation to all my students, whether they enjoy reading science fiction or not. Ursula Le Guin’s “The Ones Who Walk Away from Omelas” (1973) is a troubling but powerful story on many levels. In contrast to stories of military selflessness that pervade science fiction, this story highlights the trade-off every society faces in sacrificing the few for the good of the many. Whether it is a Marxist interpretation of workers sacrificing for the wealthy or those in the military asked to risk everything for the security and prosperity of the rest of society, each reader comes away with different lessons and perspectives on how the story applies to strategic decision-making. Related to the topic of revolution is the question this story raises about why people do not challenge the status quo, even when they think it is wrong. Isaac Asimov’s “Runaround” (1942) is a clever story about artificial intelligence and robotics, illuminating the challenge humanity might face in communicating with machines that do not think or learn the way humans do. This story also provides a parallel with the military planning concept of commander’s intent. Specifically, it highlights the importance of communicating, but doing so in a way that allows others to understand what constitutes success and therefore the larger purpose of their activities. John Campbell’s “The Last Evolution” (1932) is the oldest story on my list. It deals with a time after the singularity, when humanity has created machines that can think and reproduce, and even produce smarter machines. Unlike many stories in which robots become a threat, instead humanity’s creations attempt to save us. Although aliens destroy humanity, the more durable and smarter beings—the legacy of humanity—survive and continue to evolve into more sophisticated machines. Aside from the genius of the author writing even before the technological advances of the Second World War, the story engages with civil-military relations, where humans are the civilian leadership and machines are the military warfighters. Ray Bradbury’s “There Will Come Soft Rains” (1950) can be interpreted in a number of different ways. Bradbury wrote this in the early Cold War, when fears of nuclear annihilation were high. Read without that historical context, one bleak perspective on the story is that nature will be more content once humanity is gone. The more optimistic view is that even an artificial intelligence requires interaction with humanity, both to fulfill its purpose but also to deal with any unintended situations for which it is unprepared. Like “Superiority,” the moral of this story seems to warn us about thoughtless technological development, which might either benefit or destroy us. Tom Godwin’s “The Cold Equations” (1954) contains a familiar plot to science fiction fans, in which someone is faced with the dilemma of sacrificing one person to save many. This story is responsible for giving the cold equation name to this ethical dilemma, and illustrates an ethical challenge important for military officers and national security decision-makers, especially when considering the use of military force. Ted Chiang’s “Understand” (1991) is about the effects of an experimental drug that creates superintelligence in a man, and the effects of that enhancement on his behavior and view of society. As for strategic themes, one can draw parallels between the main character’s relationship with his surroundings and the relationship between the military and society. As the military continues to draw from a smaller portion of the population, the divide between the two entities will grow, much as the main character begins to view people as a distraction rather than deserving of his help. That sets up what is a very realist view of human nature; while one of the enhanced characters wants to use his talents to help humanity, the other’s desire to act in a more self-interested way leads to a violent clash. Nancy Fulda’s “Movement” (2011) is the most recent story on this list. Told from the perspective of a child, the main character’s parents must decide whether to enroll their daughter in an experimental treatment that will make her normal but potentially affect her unique dancing talents, or allow her to remain the way she is—which means continuing to struggle in society. One can draw comparison to Chiang’s “Understand,” the questions of medical treatment as therapy and human enhancement, and the risk each poses to the individual and their place in society. One can also draw a connection here between military and civilian leaders and the difficulty the main character has with communicating in a way others will understand. Clifford Simak’s “Desertion” (1944) takes place on a base on Jupiter where humans can transform species to to live in the Jovian atmosphere. The theme here oddly relates to both space exploration and counterinsurgency—should we alter environments to fit our needs or alter ourselves and our behavior to fit better with the environment? The main character’s decision to not return to the base is selfish—not notifying others of his discovery—but also suggests human existence may not be the highest form of life. 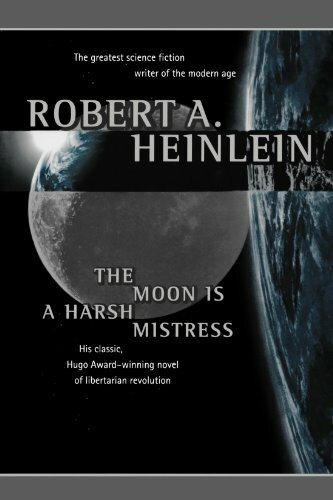 There is a contrast between this story’s theme of modifying ourselves rather than our environment and novels like Robert Heinlein’s The Moon is a Harsh Mistress (1966). There is also a connection between the selfish decision of the character and the behavior of soldiers in novels like Heinlein’s Starship Troopers (1959), who appear selfless in their service but seek citizenship and the personal benefits it provides. This article is intended to complement previous articles in The Strategy Bridge about the value of science fiction for strategists, by focusing on short stories rather than novels. Short stories cover many of the same themes and equally expand our critical and creative thinking, but require less of our time. The second purpose of this article is to offer a sample of short stories as a starting point. It is impossible to cover all the stories related to strategic thinking, but those listed here illustrate many of the most critical themes and challenges facing contemporary strategists. Gregory D. Miller is Associate Professor of Leadership Studies at the Air Command and Staff College. He also taught at the Joint Advanced Warfighting School, serving as Chair of the Strategy Department for two years. The opinions expressed are his own and do not reflect the official position of the Air Command and Staff College, Air University, the U.S. Air Force, the Department of Defense, or the U.S. Government. Mick Ryan and Nathan Finney, “Science Fiction and the Strategist: A Reading List,” The Strategy Bridge, 6 February 2017; Mick Ryan and Nathan Finney, “Science Fiction and the Strategist 2.0,” The Strategy Bridge, 27 August 2018. Ryan and Finney’s 2017 article did list several online sources, including Asimov’s Science Fiction and the Magazine of Fantasy & Science Fiction, both of which publish science fiction short stories. But between the two articles they offered no discussion of the relative value of short stories, much less which short stories might be useful to strategists. Due to copyright issues, this article links to short stories on the author’s website or that are available for purchase either individually or as part of a collection of stories. I thank Dr. Bryon Greenwald, Professor of History at the Joint Advanced Warfighting School, who first brought this story to my attention. For science fiction fans, this story also contains the first reference to Asimov’s Three Laws of Robotics. Also a two-part serial called “Starship Soldier” in Magazine of Fantasy & Science Fiction (October and November 1959).